24 Hour Business Camp is over for this time. If you missed the pitch presentations you can see them here. Each team got one minute to present their project. Silar.se. Clean and ambient real time data visualization. As the "jury's choice" these guys got 25.000 sek as a surprise contribution. I hope they use them all to further develop the product, and that ASAP. We really need a cool dashboard at Tripbirds. We're ready to pay for it too. 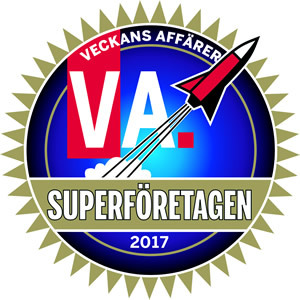 Startupjobb.se. A way for people to find work at the coolest startups in Sweden. Addjective.com. Describe your friends on Facebook with a one (?) word. Looking forward to seeing it in action. Jaglovar.se Simple site to tell people what you promise to do. Riksdagsrösten.se See how swedish politicians vote on different issues. And vote yourself. Squashtoppen.se A way for squash clubs to keep track of their club ranking. Simple, but probably with large potential. The system can also easily be applied to tennis, chess, bowling etc. Built on Bootstrap - nice! Snolooken.se Gives fashion bloggers an picture widget that let's visitors buy clothes similar to them in the picture. Socialdekal.se Business owners in the real world get a big sticker that visitors use to like their business (or check in, please!) on Facebook. Using both QR-codes, and NFC. Huge potential market. Connects the real world with the internet. Developed by Popdevelop. There are many more great projects, so please check out the complete list. Many tired web developers in Sweden yesterday. Good work everybody!